How do I grade on the Pro Plan? With Pro, you have two different tools to choose from for grading: Grade Mode and Fast Grade. Both of these tools allow you to work through your submissions continuously without needing to go back to your dashboard or open multiple tabs. 1. Grade Mode allows you to run a student’s program before grading the submission. You can run and view the code in the editor, and then send a grade and feedback message through the "Help" tab. Read more about Grade Mode here. 2. 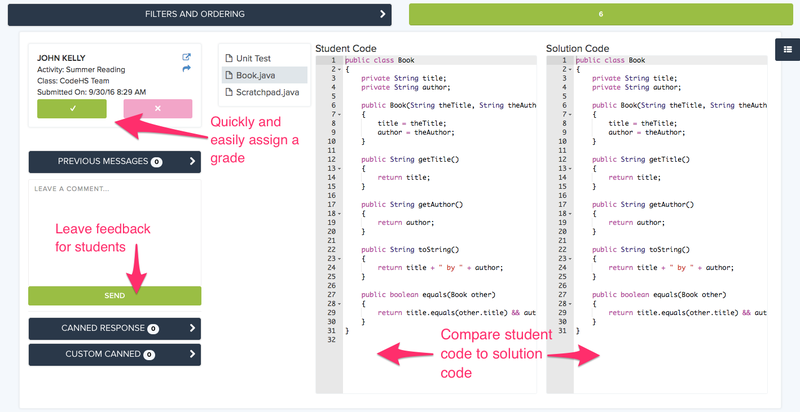 Fast Grade allows you to compare the submission code side-by-side with the solution code for the exercise. You can send a feedback message with the grade and you can also filter for only the submissions you want to grade. Read more about Fast Grade here. 3. 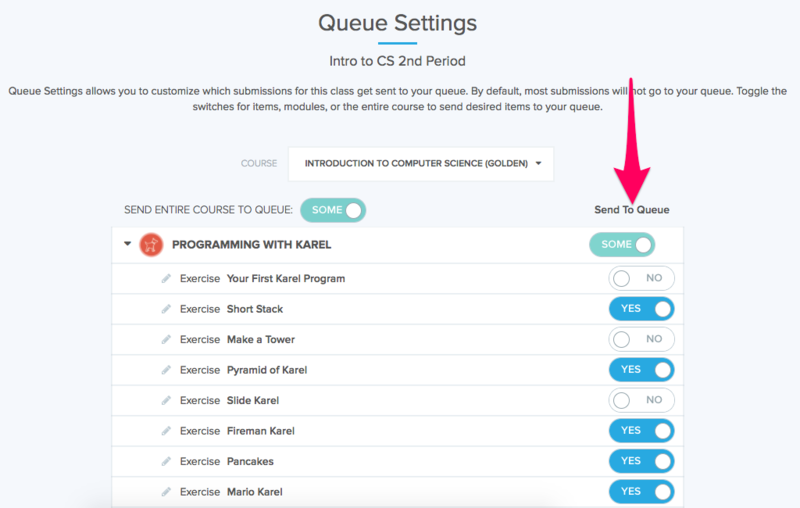 Queue Settings allow you to make sure you are only grading the exercises you need to. By changing your queue settings, you can choose what you grade, and prioritize giving feedback to exercises that are most relevant to your class. See how Queue Settings work here.